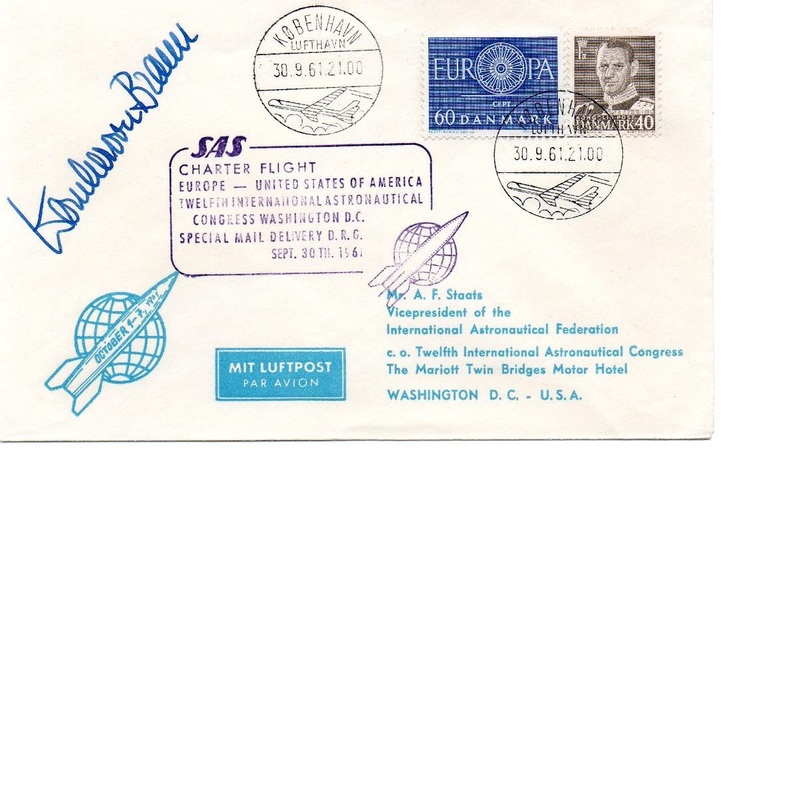 Werner von Braun SAS Charter Flight 30 Sep 1961 Signed by Werner von Braun. German-American aerospace engineer and space architect. He was the leading figure in the development of rocket technology in Germany and a pioneer of rocket technology and space science in the United States. Good Condition. All signed pieces come with a Certificate of Authenticity. We combine postage on multiple winning lots and can ship worldwide. UK postage from £3.99, EU from £5.99, Rest of World from £7.99.